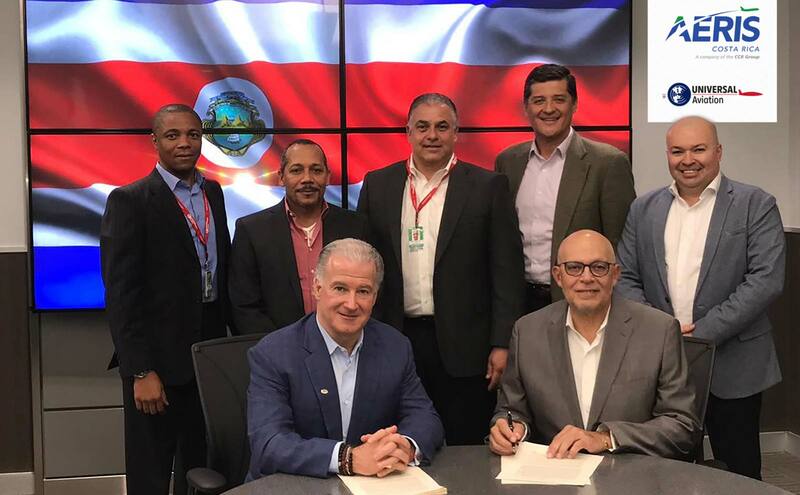 Universal Aviation part of consortium chosen to build and manage Costa Rica’s first General Aviation Terminal | Universal Weather and Aviation, Inc.
San Jose, Costa Rica (April 15, 2019) — Aeris Holdings has selected GAT SJO, a consortium composed of Universal Aviation Costa Rica and local partners, to manage a new general aviation terminal (GAT) at Costa Rica at Juan Santamaría International Airport (MROC/SJO). The new GAT facility will be exclusively available to international private operations and is the first facility of its kind in Costa Rica. The GAT will operate under the name GAT SJO General Aviation Terminal. Aeris, which has an agreement with the Costa Rican Government to invest and operate MROC until 2026, selected GAT SJO to remodel and managethe GAT following a public request for proposal. Universal Aviation Costa Rica is a member of Universal Aviation, the worldwide ground handling division of Universal Weather and Aviation, Inc. (Universal®).